Firefighters found a lighter after a Horley cottage was destroyed by arson. Two Surrey Fire and Rescue crews were called to Kerriemuir in Langshott at 4.52pm yesterday (Tuesday June 21). A spokesman said it was believed the fire, which completely destroyed the empty cottage, was started deliberately. He added firefighters reported a lighter was found at the scene before the incident was handed over to Surrey Police. The Horley and Woking crews tackled the fire with breathing apparatus and hose reels. No one was injured and no roads were closed, said the spokesman. 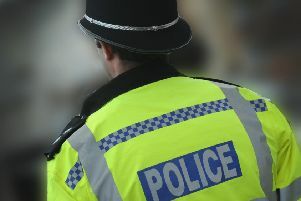 A police spokesman said no one was arrested and added: “Surrey Police are investigating an incident, believed to be arson of a derelict building, that took place in Langshott, Horley on 21 June. “The incident is believed to have taken place at around 4.50pm and although officers are continuing to investigate the circumstances of the fire, it is believed to have been started deliberately.